Enhance memory and ability to learn. Help the brain function under disruptive conditions, such as hypoxia (low oxygen) and electroconvulsive shock. Protect the brain from chemical and physical assaults, such as anti-cholinergic drugs and barbiturates. 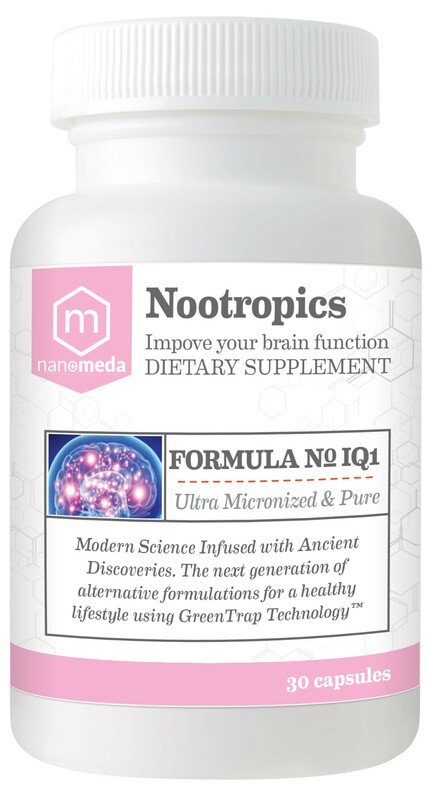 Increase the efficacy of neuronal firing control mechanisms in cortical and sub-cortical regions of the brain. Possess few or no side effects and be virtually non-toxic. Huperzine-A: naturally comes from the Chinese club moss plant. Although there is a small amount of laboratory manipulation, the effects are outweighed by the finalized highly pure substance. Huperzine-A has no toxicity and minimal to no side effects. Research shows that huperzine-A can improve memory, relieve depression, improve neurological and cognitive functions, reduce inflammation, and act as an anticonvulsant. It protects the brain and strengthens memory, improves brain neuroplasticity (helps the brain form and reorganize connections), improves neurogenesis (grows and develops neurons), and supports learning.Huperzine-A can be found in high amounts in the adaptogenic herb complex TianChi. Bacopa Monnieri: an extract that comes from the Brahmi plant. Bacopa has a variety of uses such as reducing anxiety and insomnia, improving cognitive functions, memory, concentration, thinking ability and hand-eye coordination, and has antistroke and anticonvulsant potentials. In one study, 300 mg was given daily to participants for 12 weeks and there were reported improvements in thinking ability and memory. < b>Ginkgo Biloba: made from the leaves of the ginkgo biloba tree and has been used in Chinese medicine for thousands of years. Ginkgo biloba improves memory, attention, and blood flow to the brain, and reduces anxiety, inflammation, and oxidative stress. It’s easy to find in supplement form, just be sure to buy a high-quality brand that you trust. Salvia : Genus Salvia, commonly known as sage, is the largest genus in the Lamiaceae family. It comprises many species traditionally used as brain-enhancing tonics. In vitro and animal studies have confirmed that several Salvia species contain a large array of active compounds that may enhance cognitive activity and protect against neurodegenerative disease. Tulsi : Tulsi, Holy Basil is another member of the adaptogen family and has long been used as an effective remedy for stress and anxiety. Rhodiola: Rhodiola rosea (R. rosea), also known as “golden root,” is an adaptogenic herb with tremendous fat-burning, energy-enhancing and brain-boosting power. Adaptogens including rhodiola are a group of plants that can help your body adapt to physical, chemical, and environmental stress. Rhodiola is one of the most effective in this family, due to containing active compounds like rosoavin that have the ability to help balance the stress hormone, cortisol. Oxidative stress is defined as an imbalance between free radicals (that harm molecules, proteins, and genes) and antioxidants (that defend against and repair the damage). It is involved in the development of a number of neurodegenerative diseases, such as Alzheimer’s and Parkinson’s. Because of ginger’s antioxidant properties, its potential to enhance brain function and protect against cognitive decline has been the subject of a slew of studies.